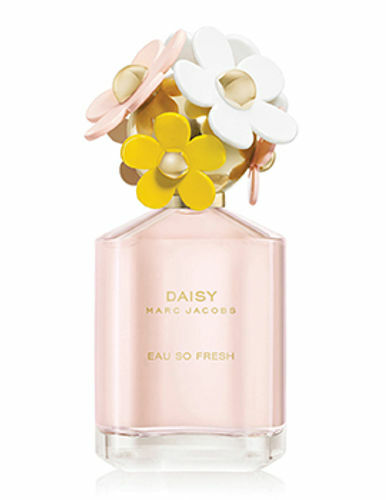 Daisy Eau So Fresh captures the essence of the Marc Jacobs woman. She inspires us to be bold, elegant, sweet and original, to take a walk in a field of grass and enjoy all that life has to offer. Top notes of Ruby Red, Grapefruit , Raspberry, Green Leaves , Pear concocts with the melony heart notes of Violet, Wild Rose, Apple Blossom, Lychee, Jasmine petals. Musks , Plum and Cedarwood leaves a mystifying trail behind. Explore the entire range of Perfumes (EDT & EDP) available on Nykaa. Shop more Marc Jacobs products here.You can browse through the complete world of Marc Jacobs Perfumes (EDT & EDP) .Alternatively, you can also find many more products from the Marc Jacobs Daisy Eau So Fresh Eau De Toilette Spray range.